As per the recent news published in the reputed media house ‘The Times Of India’, the country is generating 15,342.46 tonne plastic waste per day. Of these only 9205 tonne waste is recycled per day, but what about 6137 tonnes of plastic waste? 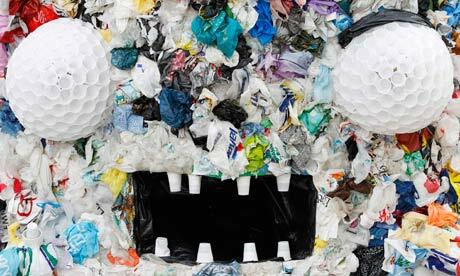 By the end of 2013 an extra 1,104,660 tonne of plastic waste will be scattered all over India. This will not only damage the sewage system resulting in flooding of polluted waters in the streets and lower areas of the country, but will also result in generating new viruses and diseases. Central Pollution Control Board (CPCB) with the help of Central Institute of Plastics Engineering and Technology (CIPET) had conducted a study in 60 cities that assessed the quantity of wastes accumulated on an everyday basis in 60 cities all over India. The result said that in these 60 cities people are still using plastic bags frequently. This way ultimately our India will be polluted and sick. This will also result in the economic growth of the country and as predicted we will not be able to grow by 2020 but our economy will reverse backwards. Zorba Industries, the upcoming plastic Pyrolysis plant provider and installer have extended their hands to the entire industrial and business sector. The company offers plastic Pyrolysis plant that can use the plastic wastes that factories and industries emit and generally dump or throw. The Pyrolysis plant uses the wastes as raw material to produce other byproducts like Carbon Black, Pyrolysis Oil, Hydrocarbon Gas and much more. These byproducts can again be used by the same industry for other production purposes or else can be sold for a good amount. In both ways it is a beneficial product and process to adopt. Pyrolysis oil which is also known as furnace oil is the most useful byproduct that is obtained in the process. Furnace oil has many uses including its use as fuel for Generating Power in DG Sets and as a feed/fuel in fertilizer plants. Looking at the law of Indian Waste Management and Handling Rules of 2011, we would see that use of plastics has been banned in the package industry, especially for tobacco related products. Still there is no change. That is why Zorba Industries (located in Vadodara, Gujarat) has come-up with many custom packages that will help companies minimize plastic and rubber wastes.